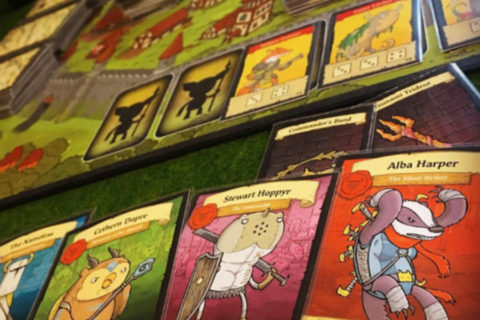 My name is Martin Looij and I’m a board game designer from the Netherlands. I love scuba diving, traveling and board gaming (in that order). 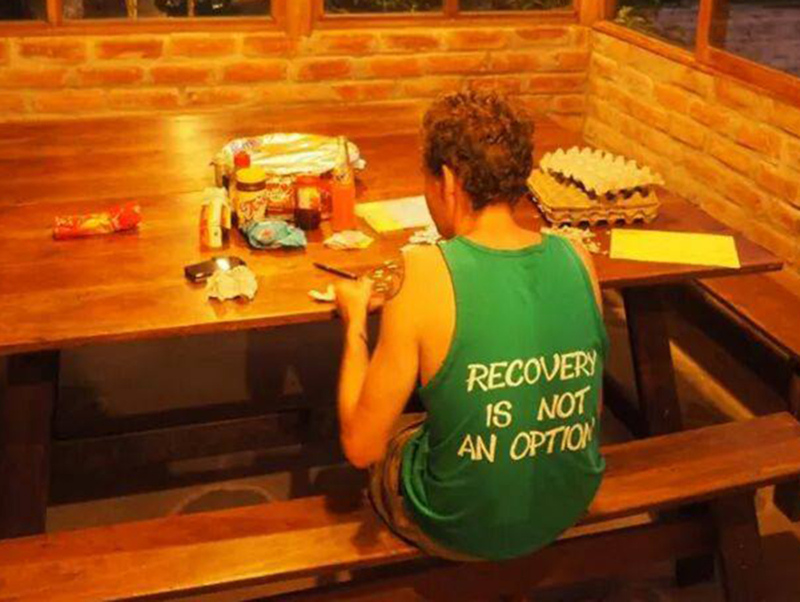 From July 2014 until May 2015, I was traveling through North, Central and South-America. And while hanging in an overland truck for up to 14 hours a day, I started thinking about making a board game about my number 1 passion; scuba diving. I have been scuba diving since I was 8 years old, and I still absolutely love it. So I started designing a board game about diving with some sheets of paper, some markers, and used egg cartons. In the picture below you can see me working on Scuba in Baños, Ecuador. From that point on, Scuba kept developing rather fast. From the very start, I focused on making Scuba as realistic as possible. 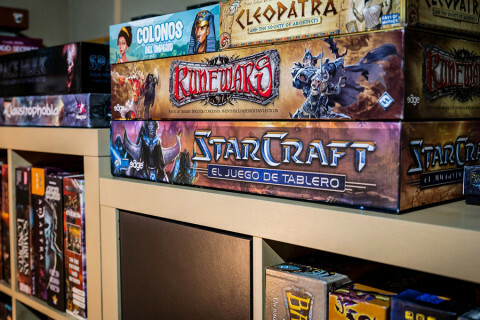 And I quickly realized that it is very hard to translate the concept of diving into a board game. Because diving is very relaxing and that would translate to boring gameplay quite easily. So I had to come up with realistic ways to design an interesting board game. This is where concepts such as ‘currents’ and ‘dust trails’ came in. In real scuba diving, there often will be currents that affect your dive. Sometimes you will make a drift dive, which is starting at point A, then drifting along the current and finishing your dive at point B. Since this is something exciting, I wanted to implement this into my game. After some experimentation, I decided to go with the element of surprise. 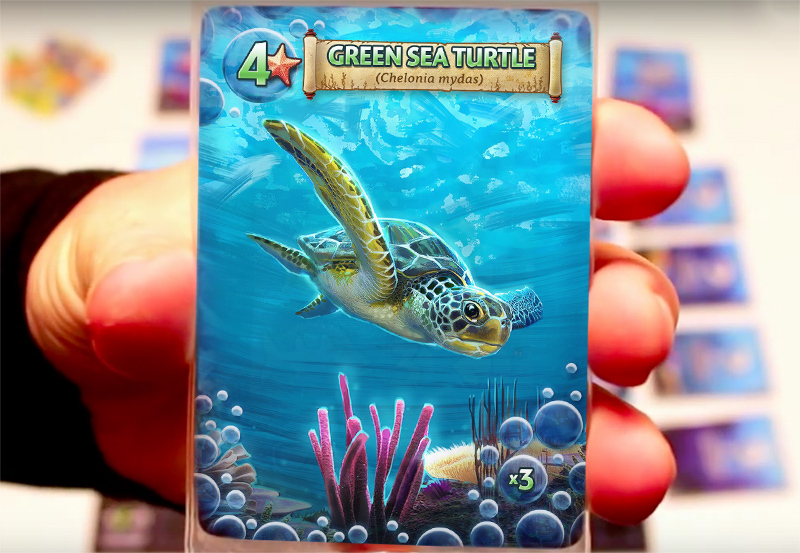 Before a player starts diving in his/her turn, (s)he first draws a current card to see if there is any current and what fish (or divers) are affected by it. 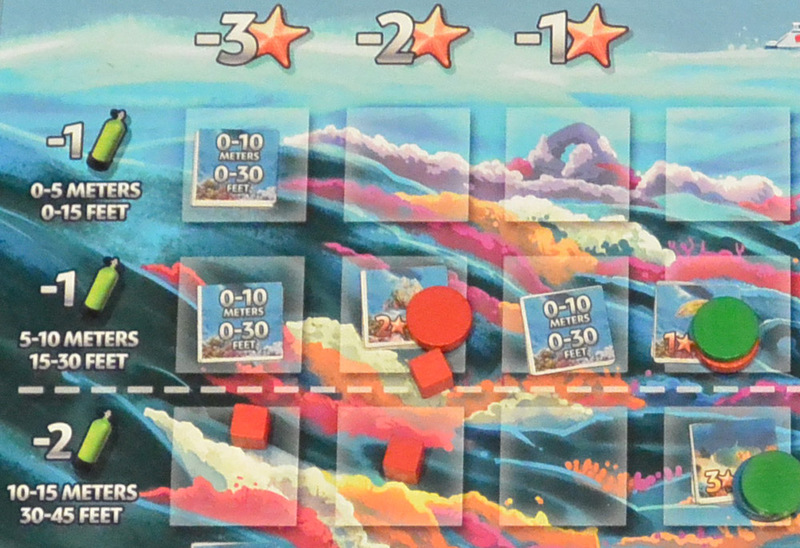 In the game, currents mean that fish could swim out of the diving area. So when other players discover them, you can’t just wait forever to see them too. It adds a sense of urgency to the game. In real diving, you don’t make trails of dust. You will be trained properly so you hover above the bottom of the sea without touching the floor with your fins. In Scuba, you do make dust trails. I added this because it would be otherwise too easy to just follow other players and spot their fish as well. In the game, you leave a trail of dust behind you that will stay there for one round. 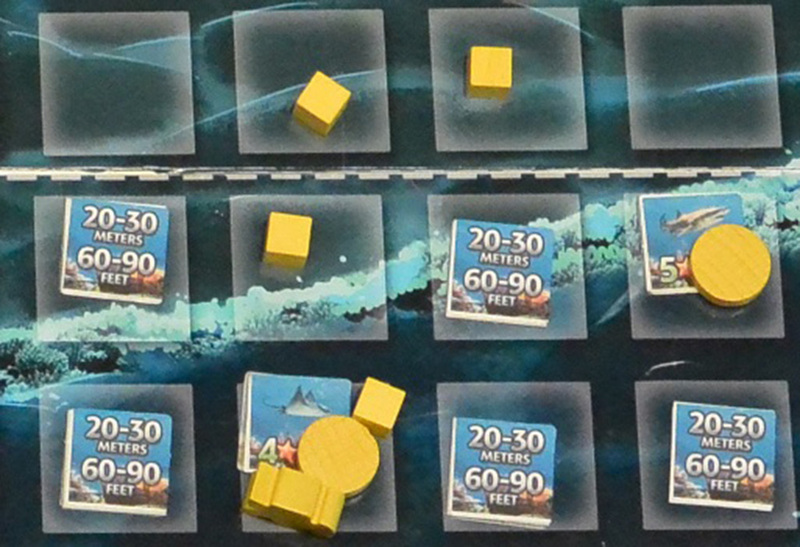 And during that round, other players can’t see any fish that are on a space with your dust (the cubes are used to indicate dust). So while I developed the basics of Scuba, I was traveling through Ecuador and was still using egg cartons and pieces of paper. Then we hit Peru. And in a small beach town, I was able to find three magnetic chess sets to upgrade my ‘designer kit’. With the three magnetic chess sets, I had a game board and enough magnetic pieces to stick small pieces of paper on them with letters and numbers to indicate the type of fish. There were also pawns included in the set, which I could use as player pawns. This might still sound like a very poor prototype but it was a huge step up from the small cardboard pieces that were all over the place. 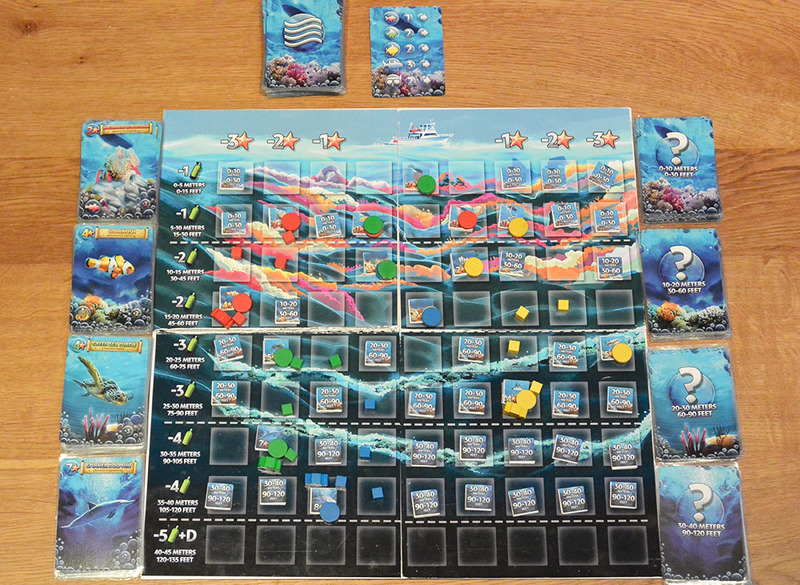 In the following months, I kept working on making Scuba as realistic as possible, yet an exciting and fun board game. I introduced events that made the game a lot more exciting and thematic. 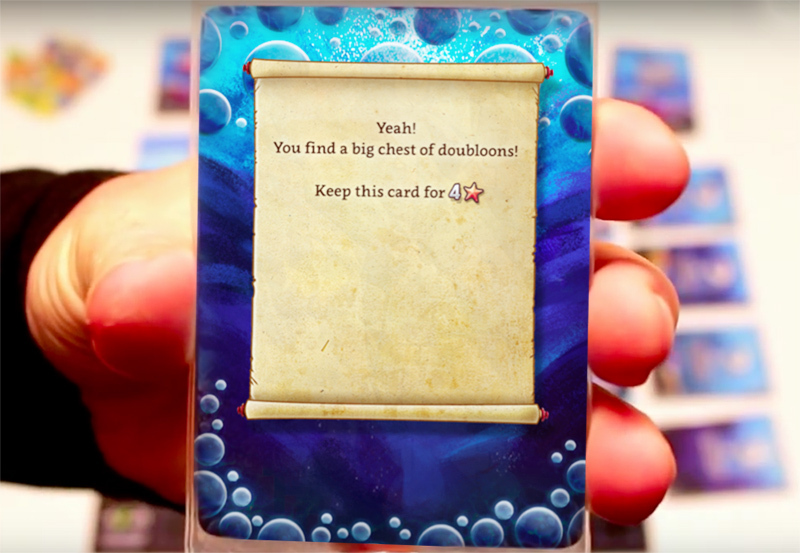 When diving in the game, you can now find treasures, get grabbed by an octopus or get seasick. Then there was one crucial element left. I had to include the element of air into the game. You start with 20 units of air. This is 200 bar of 3000 psi, but non-divers can just call them units of air (but please don’t call it oxygen). The implementation of the air into the game was actually quite easy. In diving, the deeper you go, the more air you use. So I used that principle in my game. When diving at 0-10m (0-30 ft), you use 1 unit of air. For every 10 m (30 ft) lower than that, you use one extra unit of air. 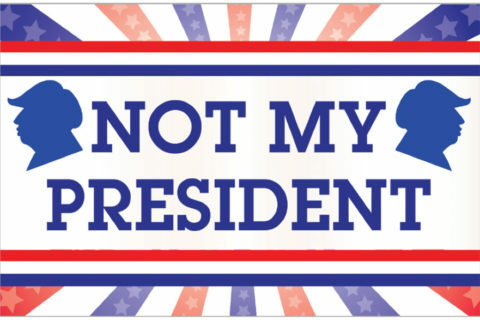 And that worked out really well. On the board you can see the amount of air you need at a certain depth. And when the mechanics of the game all came together, I started searching for an artist and a graphic designer. Whenever I had decent Wi-Fi (I was traveling through South and Central America at that time…) I was looking for artists with a style that would fit with the style I had in my mind. I ended up contacting a few of them and I asked them if they could send me a sample card with a turtle on it for $30. So I had a concept, an artist and a graphic designer. When I came home in May 2015, the next step was playtesting. Over the course of the months, I used all sorts of playtesting. 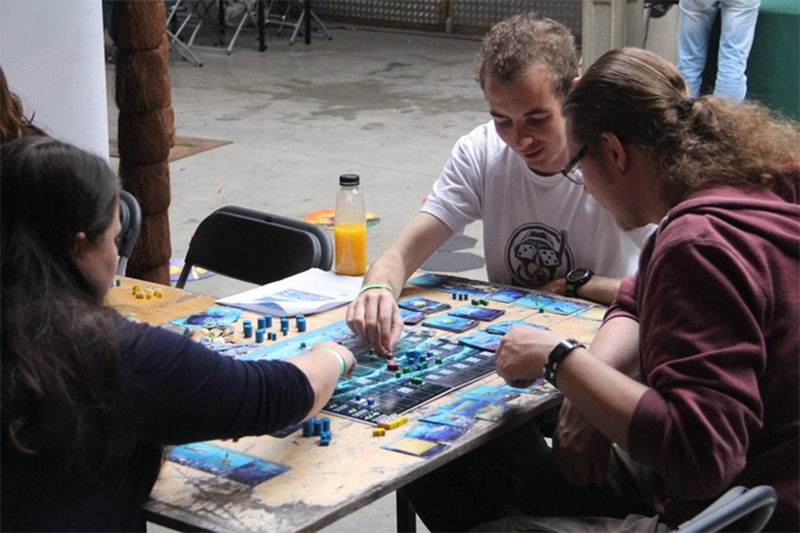 Local game clubs, Dutch and Belgian board game conventions, many blind play test sessions. I made three prototypes and they made quite a journey. I optimized a lot of game rules and by November, play testing was done. I sent the games out to video reviewers and went from game designer to game publisher. Meanwhile, Sebastian and I worked on the Kickstarter page. Video reviews started to come in and luckily they were all positive! 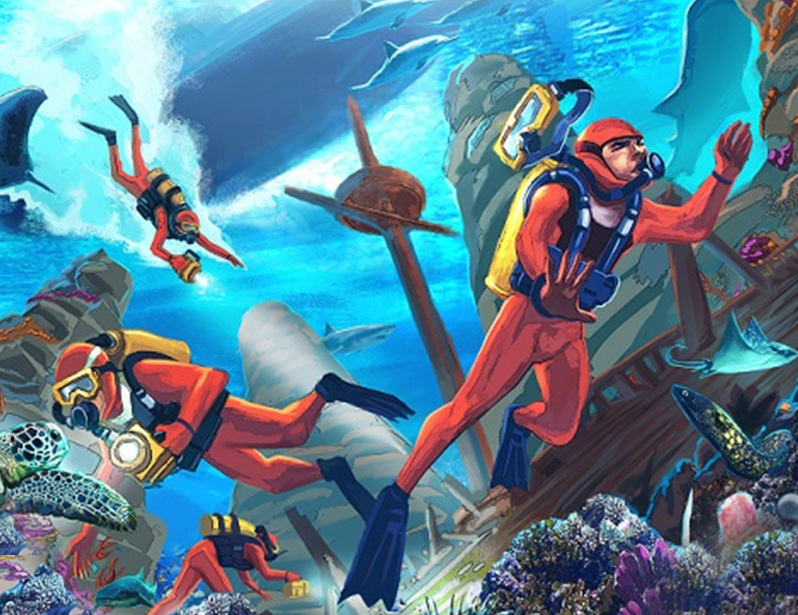 The most common conclusion of the reviews was that the game did a really good job to portray the feeling of scuba diving, without getting boring. Since this was pretty much my exact goal when starting designing the game, this felt like a huge victory! Then the Kickstarter came around and now you know how Scuba has been made! 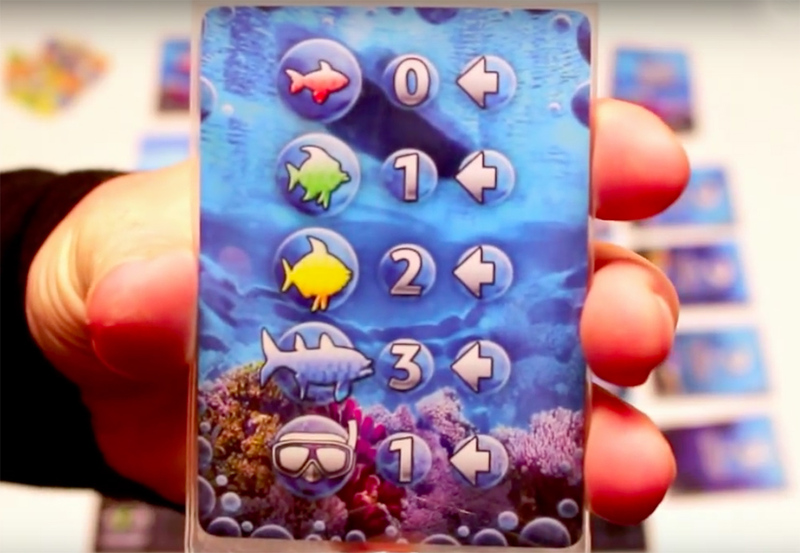 You can back Scuba now on Kickstarter.